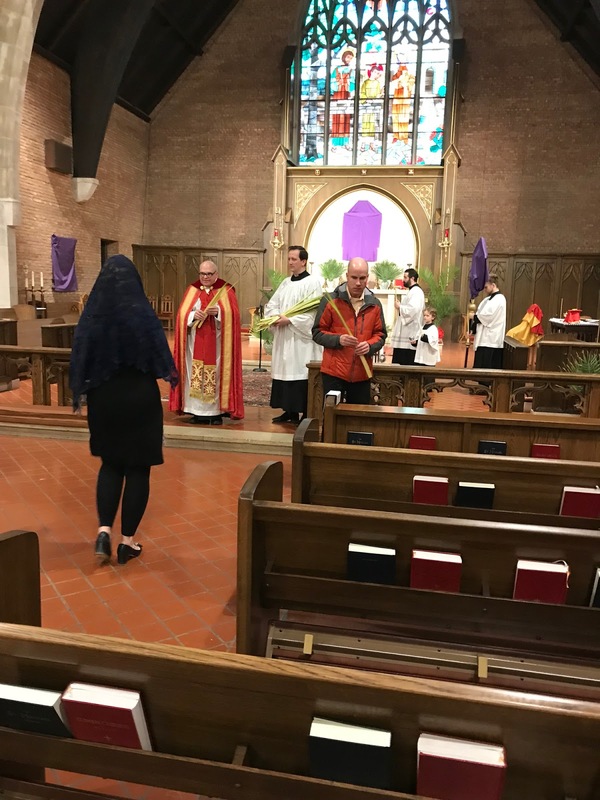 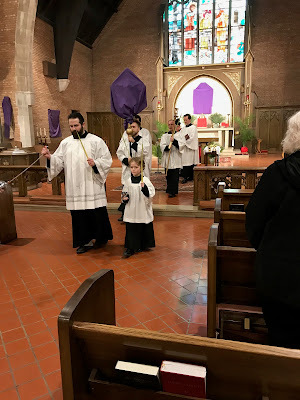 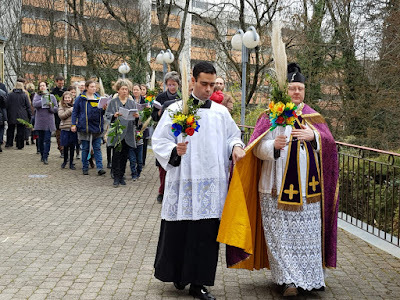 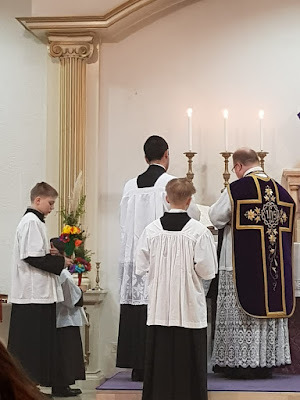 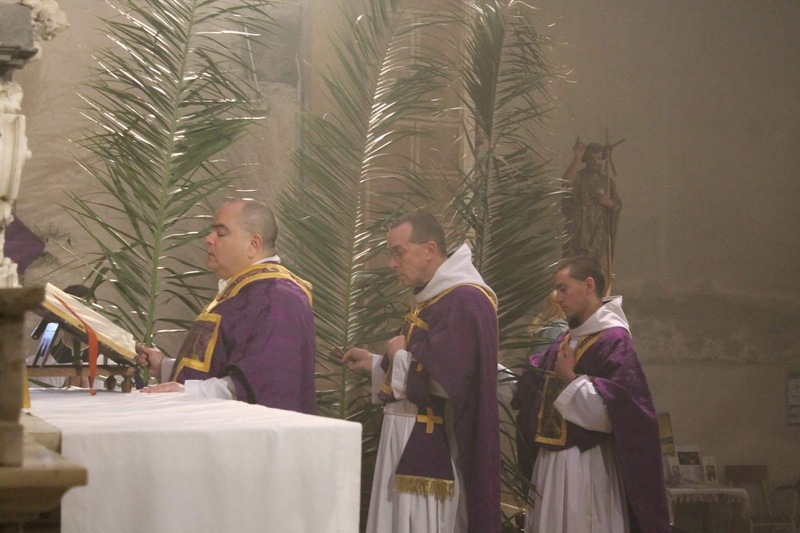 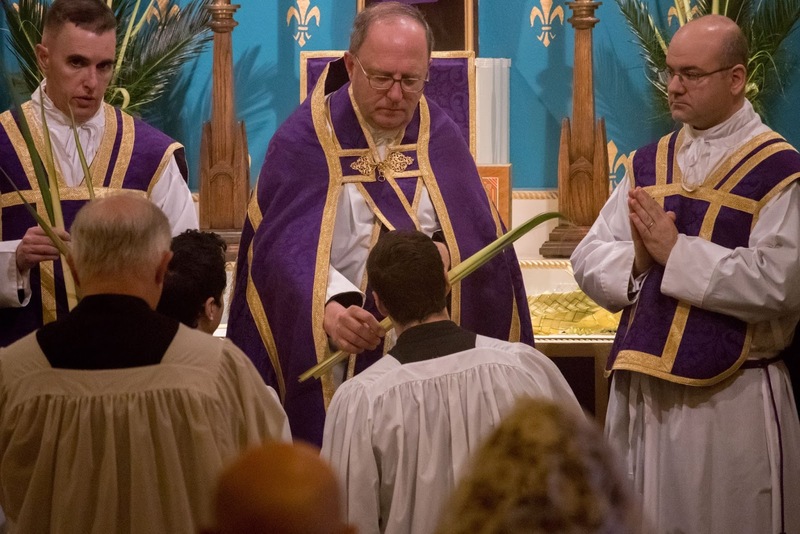 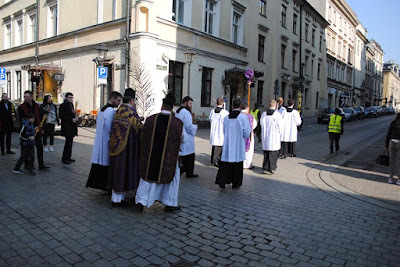 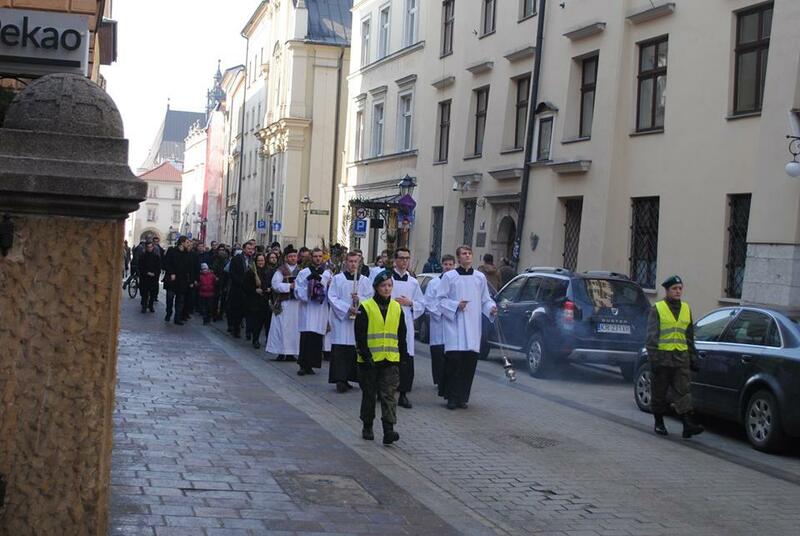 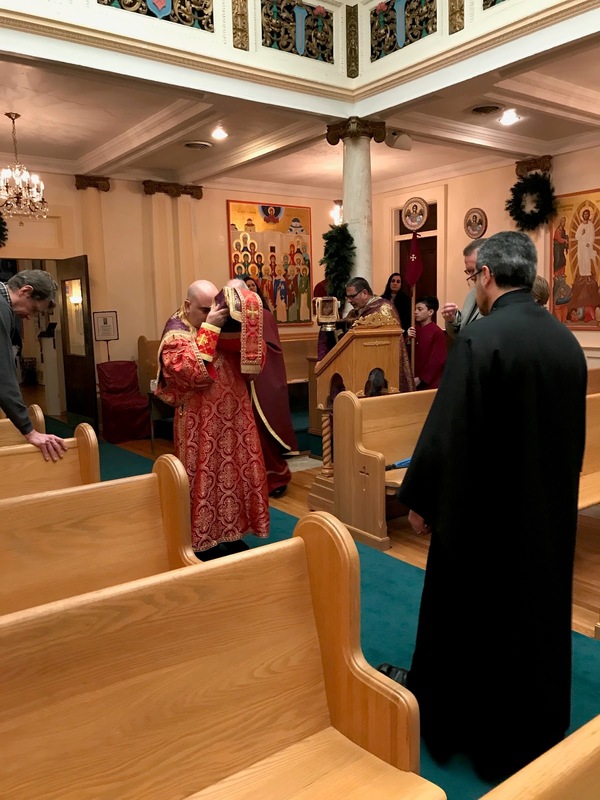 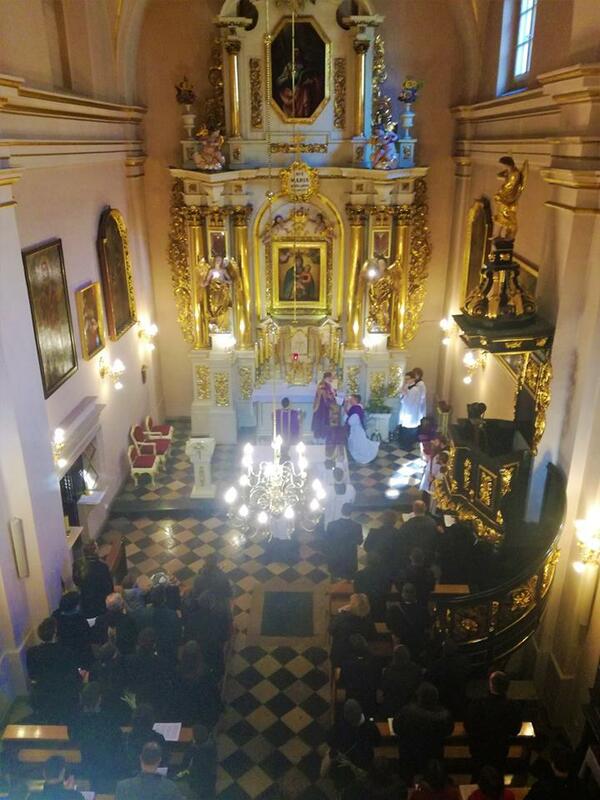 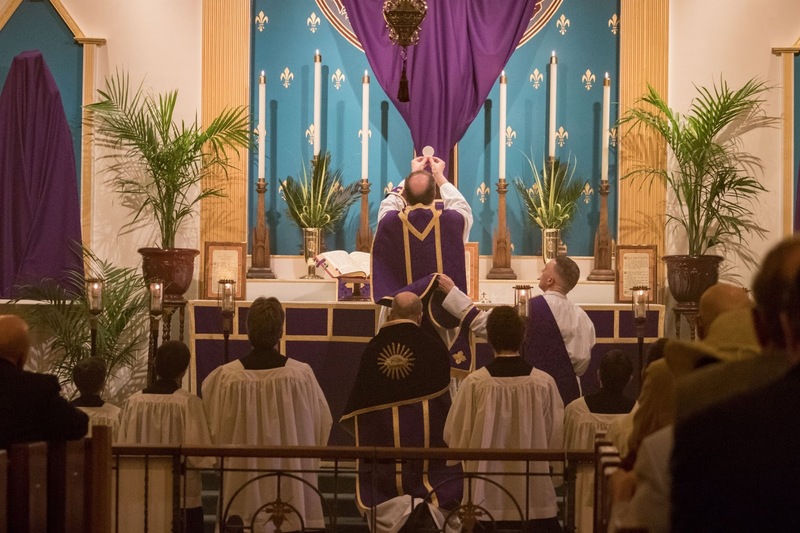 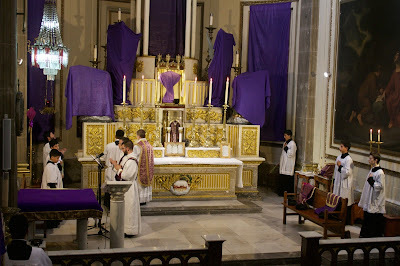 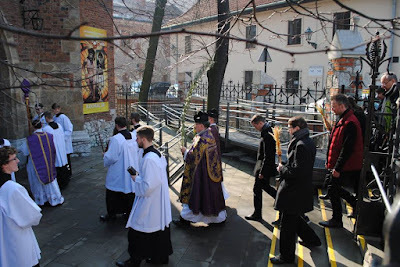 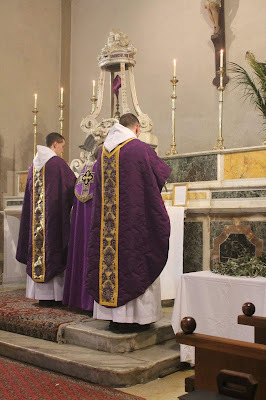 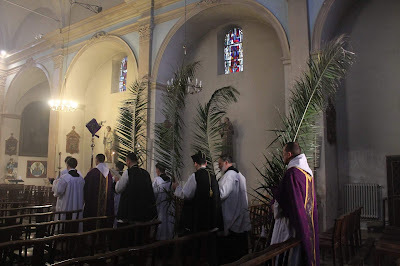 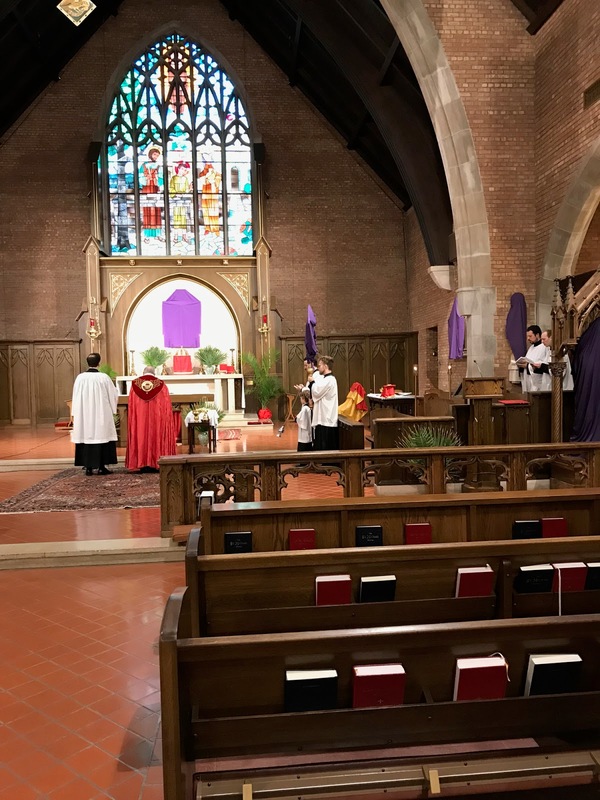 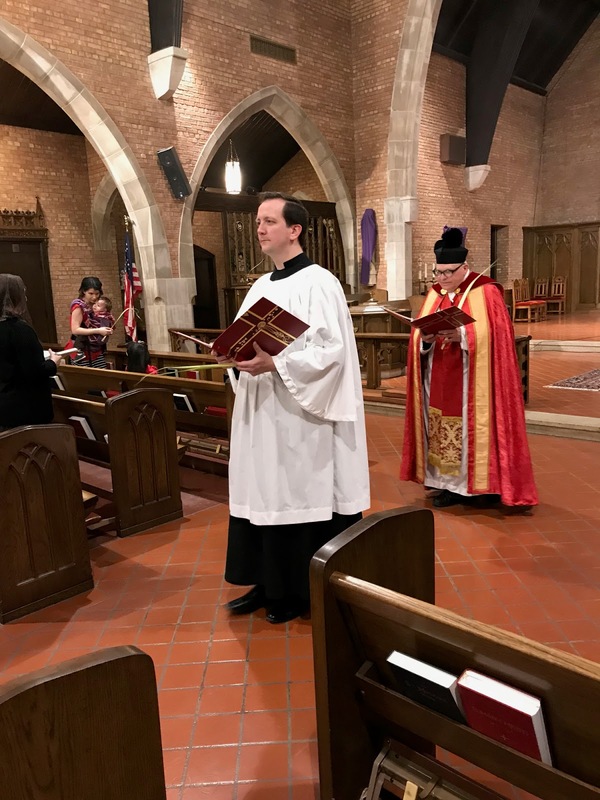 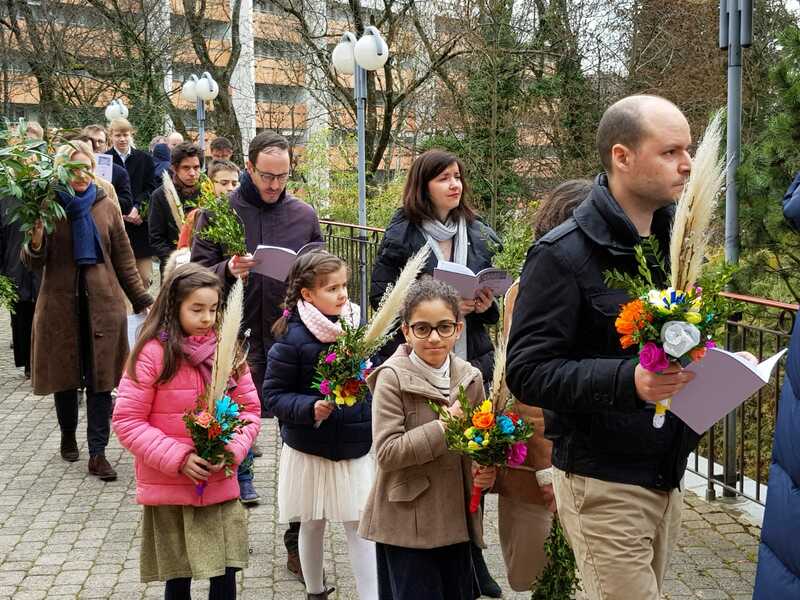 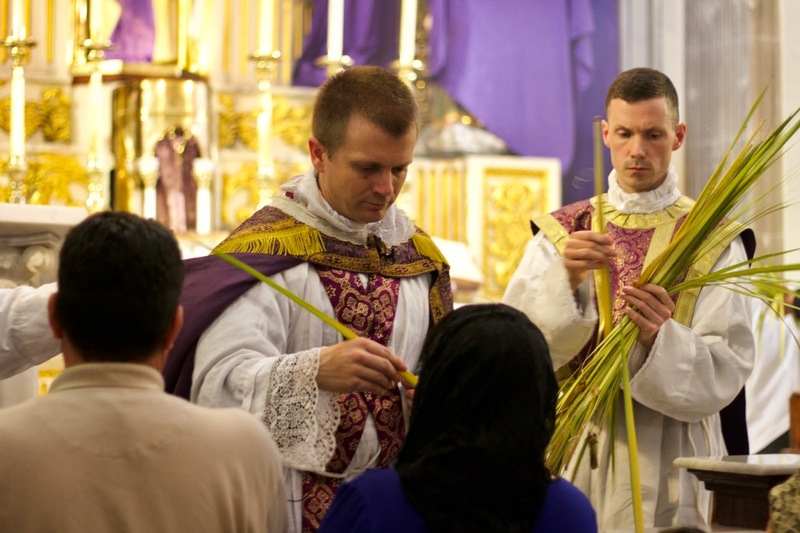 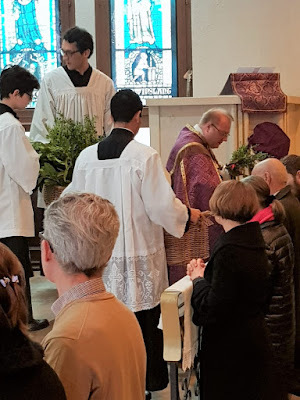 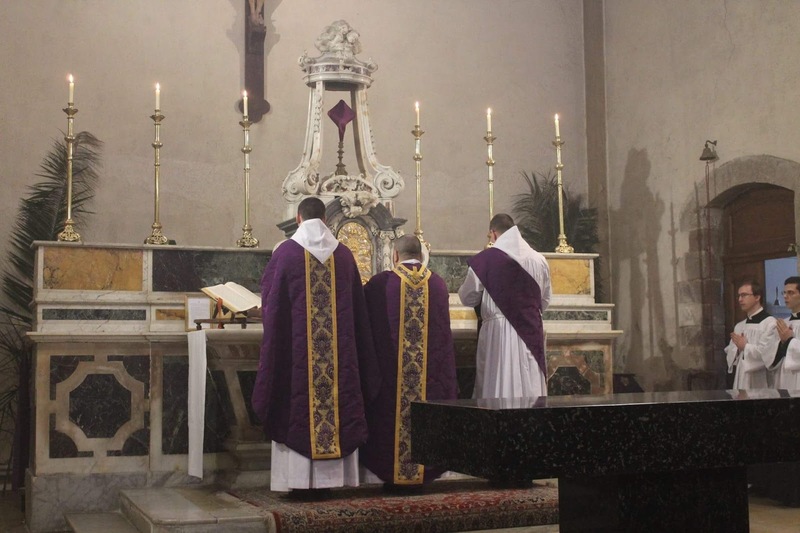 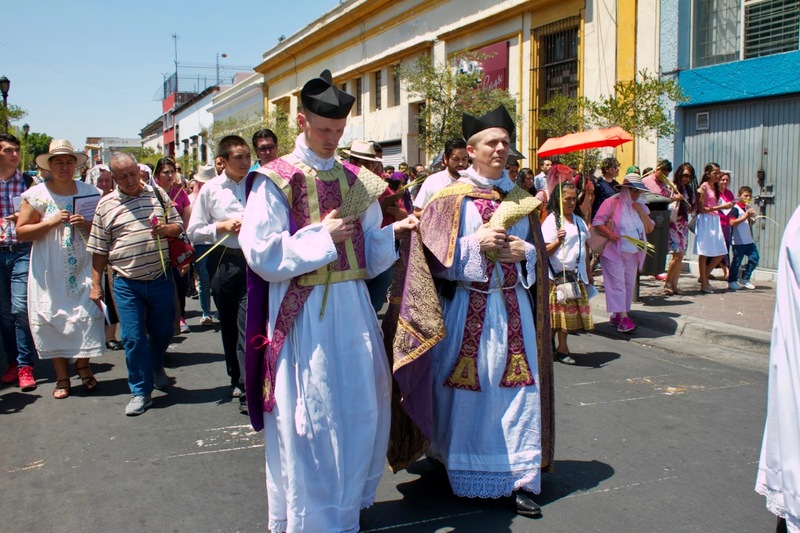 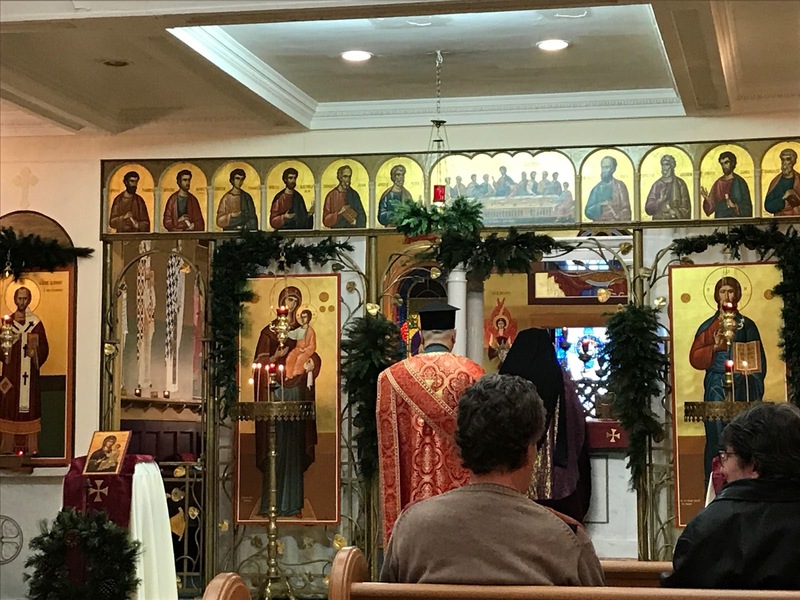 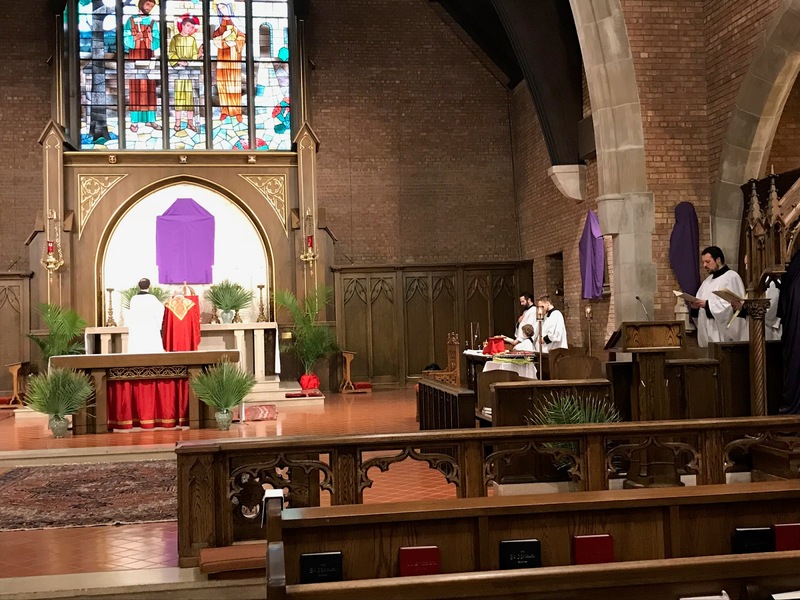 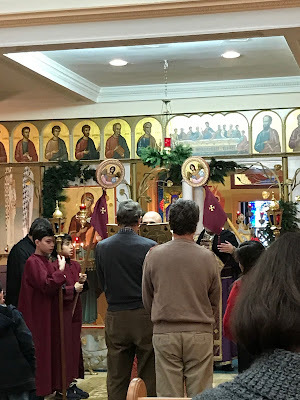 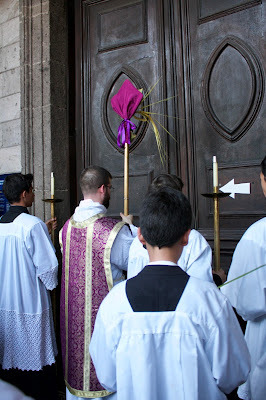 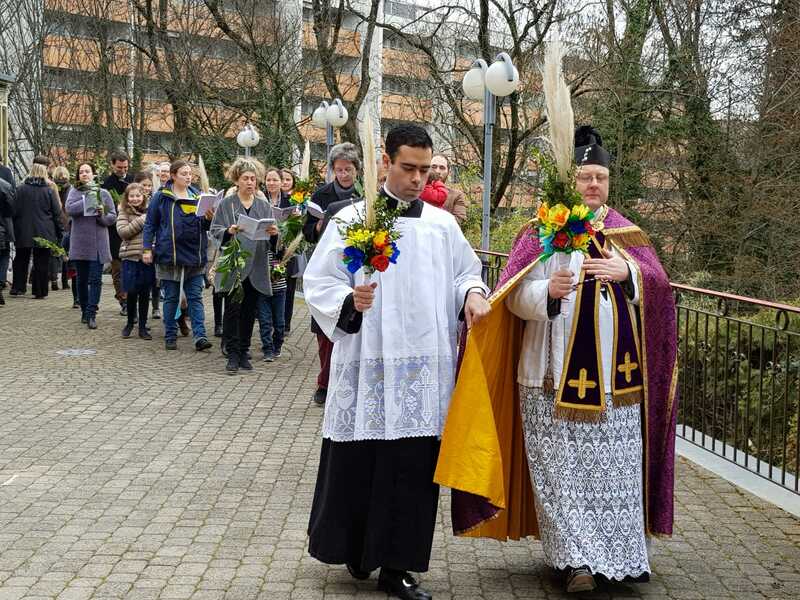 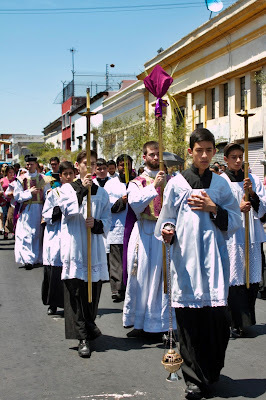 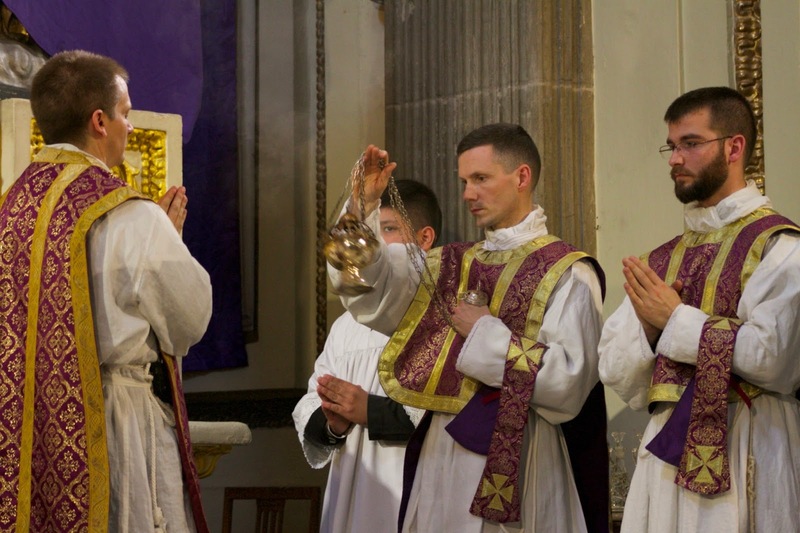 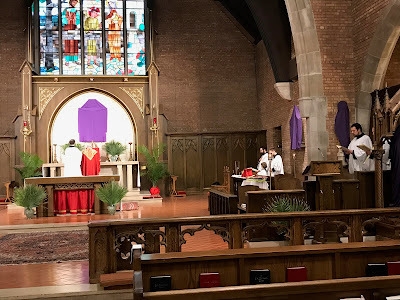 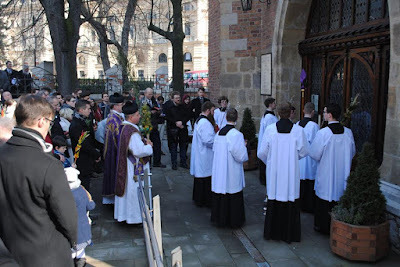 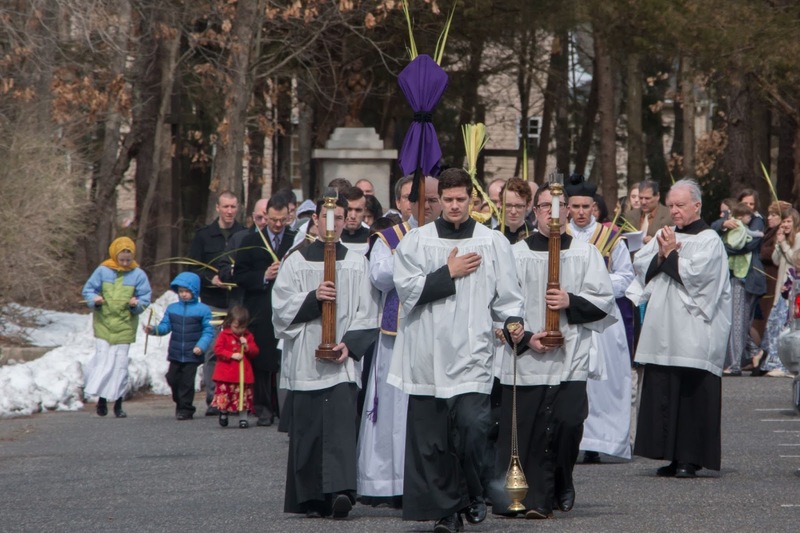 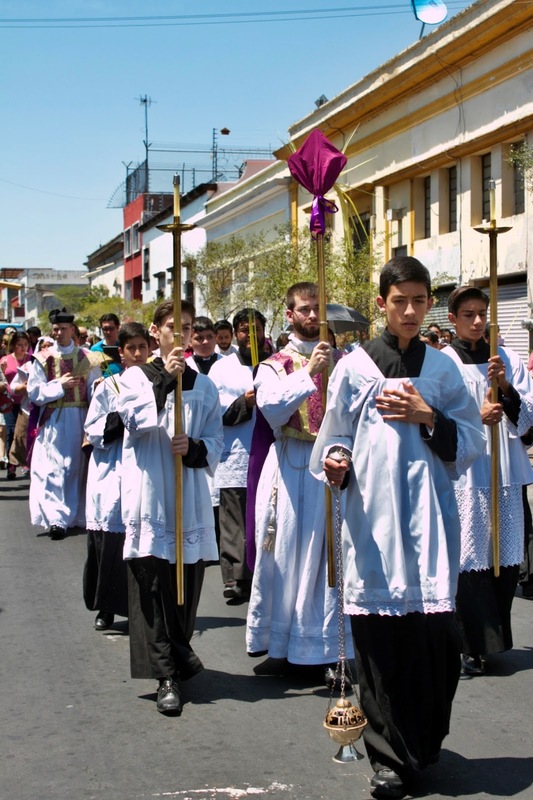 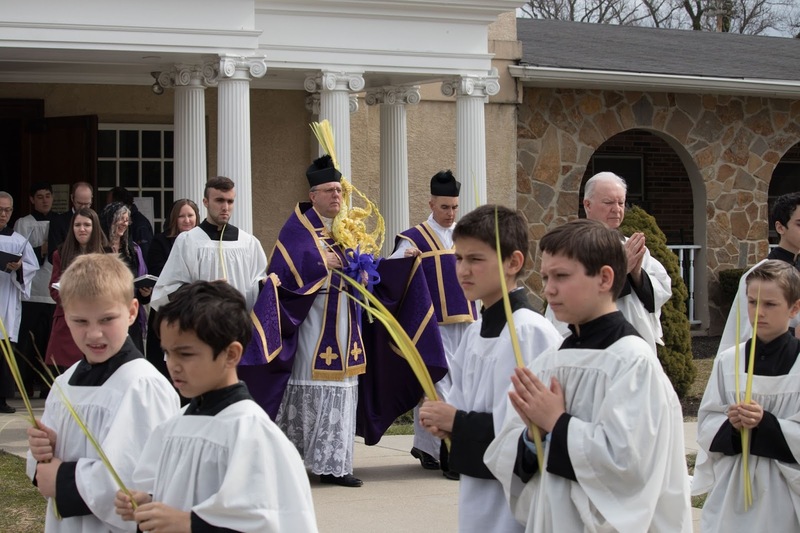 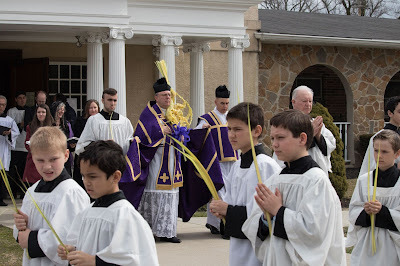 We finally come to the last of our Palm Sunday photoposts, just in time to start in on Holy Week and Easter; don’t forget to send your pictures of these celebrations, with the name and location of the church, to photopost@newliturgicalmovement.org. We will be processing them and publishing them over the next couple of weeks. 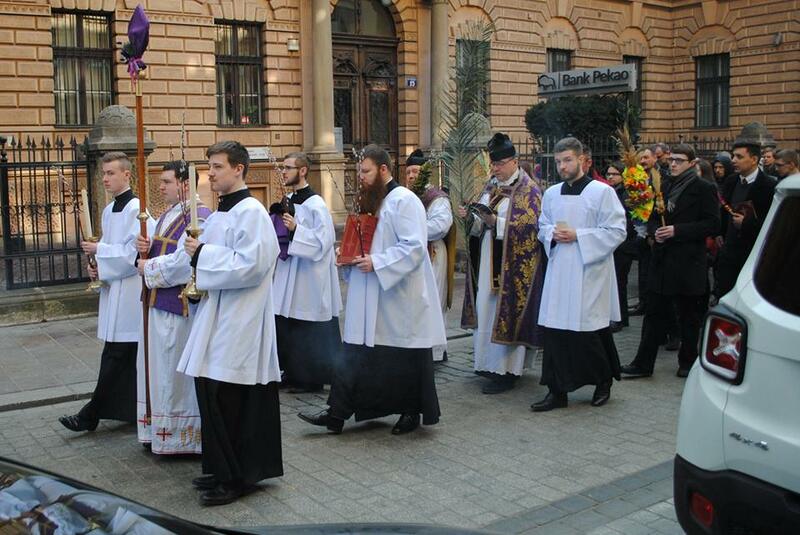 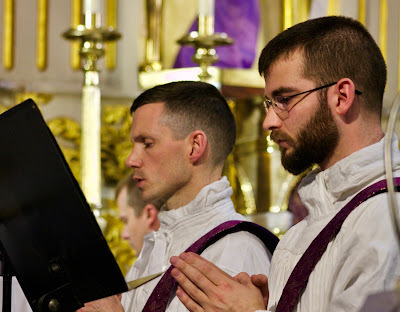 Once again we wish you all a most blessed Easter! 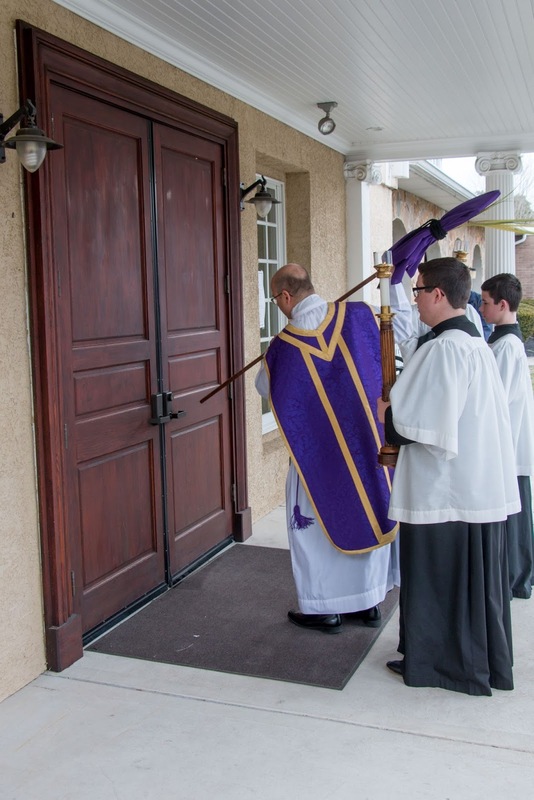 The parish is currently hosted by the church of the Holy Family. 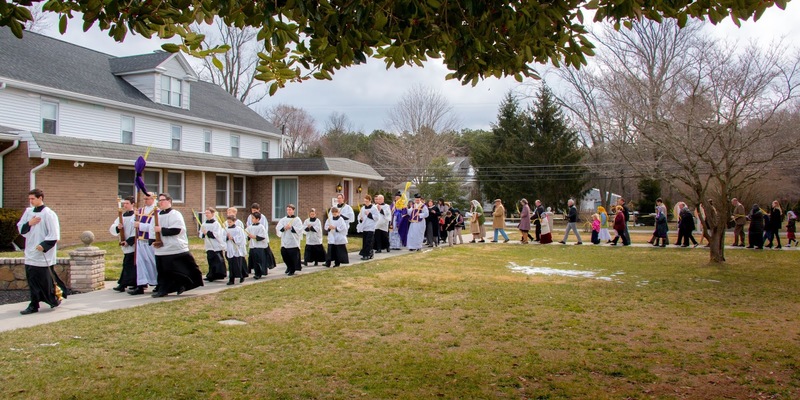 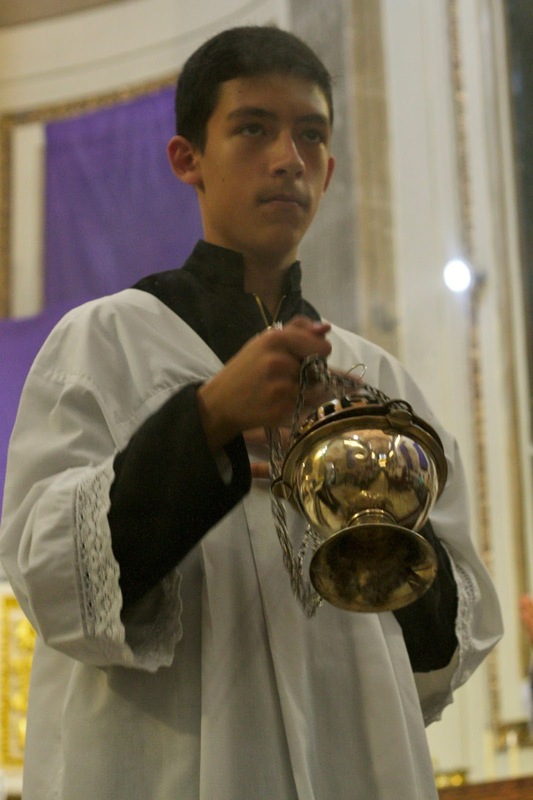 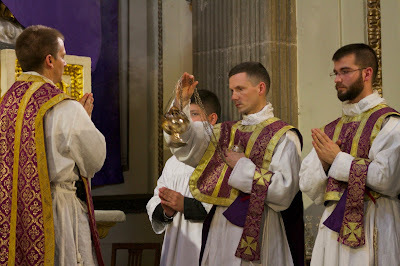 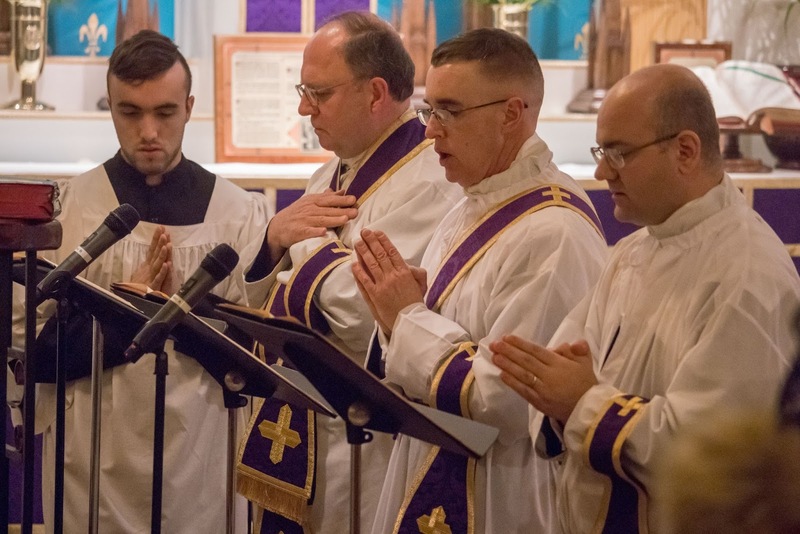 The blessing of the palms at the church of St Thomas the Apostle, followed by the procession to Holy Cross.